My next stop was the stunningly decked out Bea’s of Bloomsbury stall. 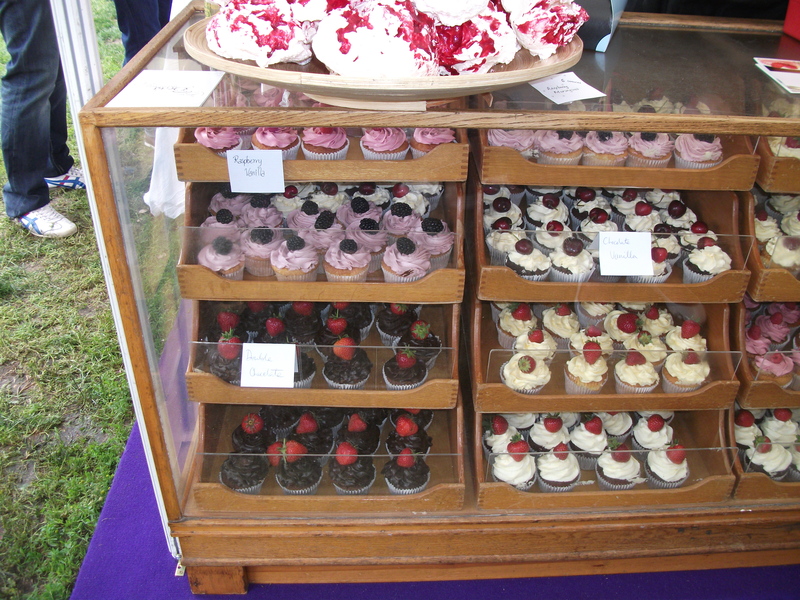 I absolutely love the way these cakes are presented in an old haberdashery cabinet. Here I was greeted by a cheerful tehbus who was making luscious Lychee cocktails, and generally demonstrating some excellent front-of-house skills. 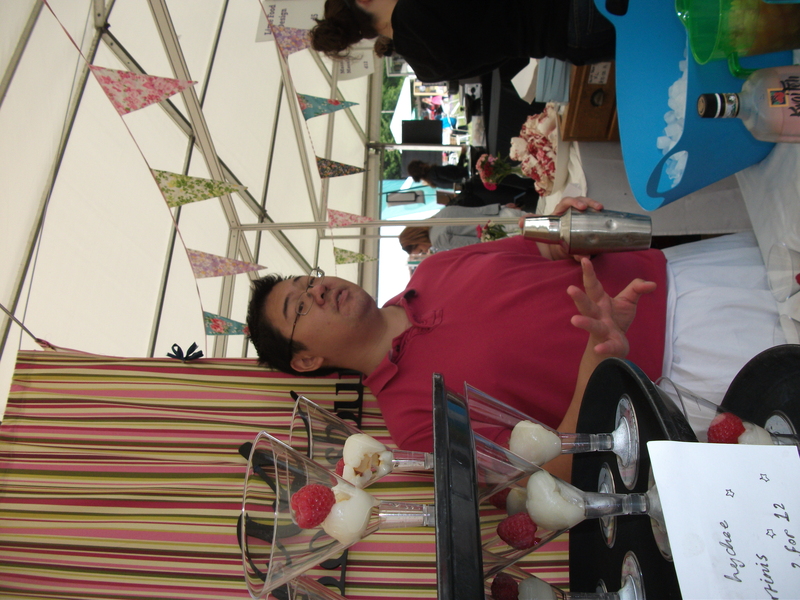 The cocktail was lovely, very summery and sweet. 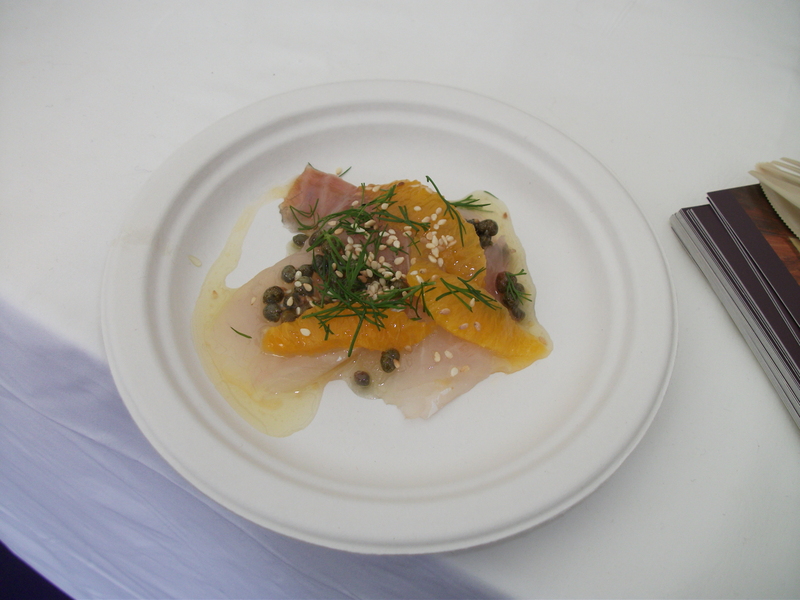 My favourite dish at taste, apart from the pig, and Bentley’s fish and chips (part three) was the Carpaccio of daurade, orange segments, sesame seeds, caper and lemon dressing. This was fromt he York & Albany. And I’ll be honest, I was pleasantly surprised. They weren’t on my list, but I just fancied this fresh little dish and it really was spot on! The only other thing I have to say for part two of my Taste expedition is that, Paul A. 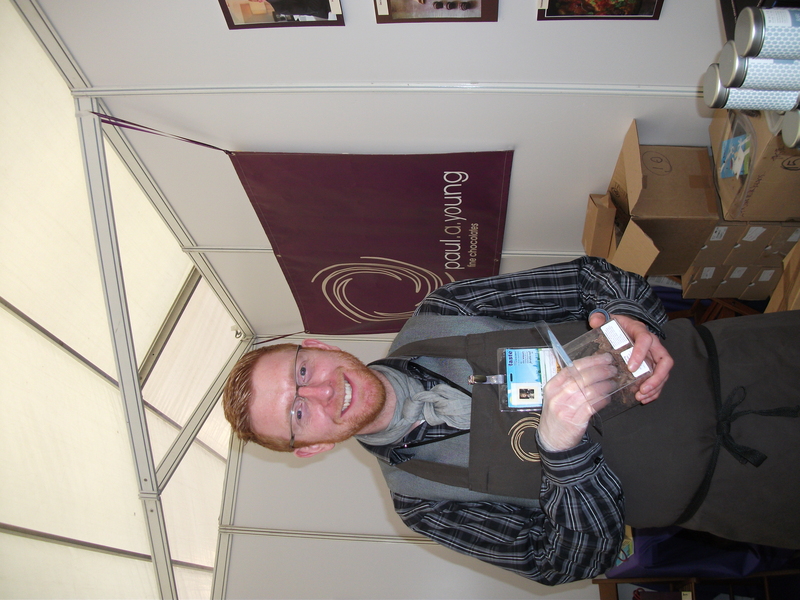 Young is without doubt the nicest man in food, and his Stem Ginger and Fennel Chocolate Pave (which he is eating in the photo) is well yummy!